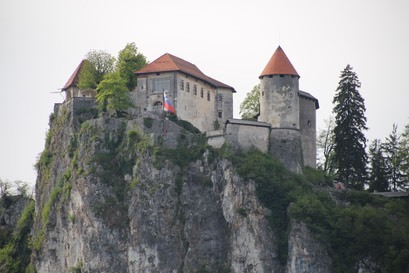 My eldest son and I took a trip to Croatia and Slovenia over Easter spending time around Bled and Ljubjana. 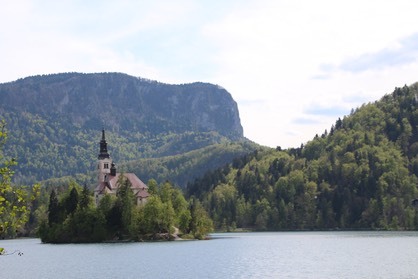 Slovenian countryside was incredibly beautiful, with chocolate-box villages and farms seen everywhere. It was easy driving on nearly empty roads with small numbers of other tourists meaning all the sights could be seen and photographed easily. 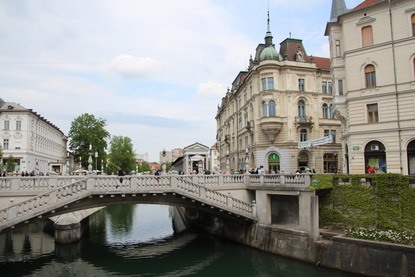 Ljubjana is a small, but pretty town centred on an enclosed river with a domineering castle and imposing architecture. Excellent food also. 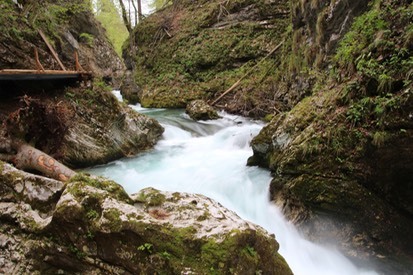 The Vintgar Gorge, nr Bled, is powerful and beautiful in equal measure, although the trail had been severely damaged by recent storms meaning we could only see about half of the gorge. 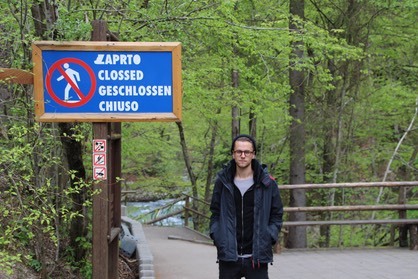 There was a widely ignored “Closed” sign blocking access. Our trusty Seat Toledo which performed perfectly over the trip, including this day up in the hills where snow was still lying up to 4 ft thick on the road edges. Experimental shot of the river at night. 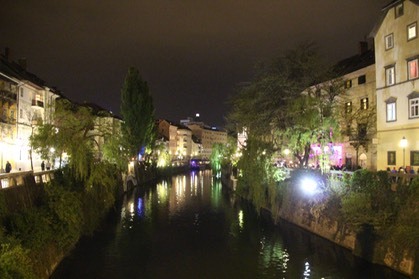 The Triple Bridge in Ljubjana. It consists of 3 bridges set together and in similar styles, but with subtle differences. Very difficult to show this in a photograph. 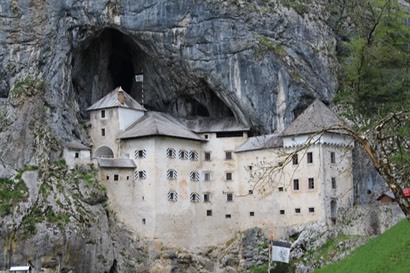 One of the many beautiful castes in Slovenia.